Atlas subluxation describes improper anatomical alignment of the uppermost cervical vertebra. A subluxated atlas is theorized by NUCCA chiropractors to cause a diversity of negative health issues and should therefore be actively diagnosed and treated. The atlas is the first vertebral bone in the spine, positioned between the occiput and the axis. The combination of atlas and axis allows for rotation of the head. This vertebral joining is unique in that there is no intervertebral disc in between these top 2 vertebral structures. Some doctors speculate that it is this lack of intervertebral tissue that allows the atlas to hold an improper alignment, since no soft spacer resides in between the skeletal structures of the atlas and axis, preventing the self-centering ability enjoyed by other vertebral levels. Atlas misalignments are the primary concern of NUCCA specialists and are rarely diagnosed or treated by any other type of caregiver, including general chiropractors. This guide examines the diagnosis and treatment of upper cervical vertebral misalignments, as well as how the condition is viewed by other healing sciences. The name of the condition describing improper positioning of the top vertebral bone is called atlas subluxation complex, also known by the acronym ASC. Most cases are deemed idiopathic, but some care providers might speculate about the causes of individual cases in select patients. Some of the most common reasons given to explain ASC include congenital or developmental spinal defect or general traumatic spinal injury, including the incidence of cervical injury during birth from being delivered using forceps or excessive pulling on the neck by the obstetrician. ASC typically does not show up on any traditional medical imaging tests, including standard x-rays or MRI studies. Instead, it can only be positively diagnosed in most cases using a special protocol of x-ray imaging developed for use by NUCCA chiropractors. In these films, the atlas and surrounding spinal anatomy is imaged from 3 different and contrasting views and then the position of the atlas is judged in a three-dimensional plane and evaluated for possible subluxation. ASC is not a condition that is diagnosed or treated by virtually 100% of healthcare professionals. 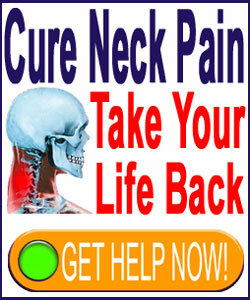 Instead, it is a theoretical problem that constitutes the main focus of the NUCCA chiropractic vocation. The condition is viewed in a highly controversial manner by most other healthcare workers, especially classically-trained physicians, as will be discussed in the final section of this essay. NUCCA practitioners are specially trained and certified chiropractors who devote their practice to diagnosing and treating cases of ASC in the general population. In fact, some NUCCA practitioners offer no other services to their patients. NUCCA theory states that many instances of disease or dysfunction result exclusively due to positional abnormalities and imbalances of the atlas vertebral bone. After all, they say that the atlas sets the alignment for the entire spinal column and if the first vertebra is incorrectly situated, then the remainder of the backbone will suffer a cascade of misalignment that will actually worsen as vertebrae get further and further from the atlas source. 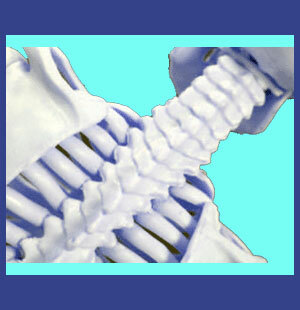 In essence, the effects of even minor ASC can create massive alignment problems near the lower end of the spine. Since all of the anatomical tissues rely on the spine for skeletal and neurological support, a misaligned spine will cause a body that suffers from various forms of dysfunction and symmetry concerns. NUCCA practitioners have linked an exhaustive range of problematic health issues to the incidence of atlas misalignment, including diseases, anatomical defects, cognitive disorders, emotional concerns and many functional problems throughout the anatomy. ASC is diagnosed by NUCCA chiropractors using a series of physical exams, evaluation with proprietary diagnostic tools, such as the Anatometer, and most importantly, analysis of a series of 3 x-rays taken from different planes of perspective. Once all the evidence is collected, the chiropractor will determine if the atlas is out of position and if so, what steps will be needed to reposition the bone into its ideal anatomical location. This is a crucial step of treatment, since each atlas subluxation is unique, so repositioning manipulation must be carefully strategized in order to resolve the subluxation. Once a treatment plan has been designed, the NUCCA doctor will use their hands to correct the subluxation using one or more gentle movements against the atlas vertebral bone itself. Once the doctor is satisfied that the atlas has been restored into its proper place within the cervical spine, then new physical exams will be performed and a new set of x-rays will be taken to confirm resolution of the ASC. If the bone remains out of ideal position, then treatment will be repeated until the results are satisfactory. Many patients will be instructed to return for one time or semi-regular re-evaluation of the atlas to ensure continuing good health into the future. In fact, this recommendation for “maintenance evaluation ‘ seems to be a growing trend in NUCCA, as more and more care providers realize that one-time clients can be converted into profitable regular customers with just the utterance of a few words, such as “See you in 4 weeks for re-evaluation”. Critics of the ASC diagnosis are numerous and come from a diversity of healthcare and science backgrounds, including many traditionally-trained general chiropractic practitioners. Many doctors have come forward to publicly speak out against NUCCA, reporting that there is simply no evidence that ASC even exists, and if it did, that the methods of treatment used by NUCCA caregivers would do anything to resolve it. Despite this fact, NUCCA chiropractic continues to gain momentum and supporters, with many patients citing positive therapy outcomes for an exhaustive range of problematic health issues. We like the fact that NUCCA is safe, holistic and possibly effective, even if by the power of placebo alone. We would rather see a patient find neck pain relief using this type of care whenever possible compared to utilizing surgery or drugs therapies. However, we do see a growing trend in NUCCA to link practically all health issues to the possibility of an atlas subluxation origin. To us, this seems like the result of increased medical marketing, rather than a conclusion based on any amount of research evidence besides anecdotal notations. To learn more about ASC diagnosis and treatment, we advise consulting with a certified NUCCA practitioner.